Happy Friday everyone! Hope you’ve had a great week? Mine’s been good although I’m looking forward to the weekend as usual! I’ll be spending most of this weekend working on my Christmas Money Making Challenge by getting started with listing items on eBay. I still haven’t decided what to sell though! Usually, I aim to list clothes, shoes and gadgets but I’ve already sold most of my wardrobe that I don’t wear and we don’t really have any gadgets these days. I do have some of my daughter’s old clothes which I might consider parting with. We were thinking about saving them in case we have another baby in the future but at this moment in time, we’re not planning another! I can always buy stuff on eBay in the future should we decide to grow our family. So I might sort out my daughter’s wardrobe and put some pretty mix and match outfits together to sell rather than selling items separately. I don’t think it’s a free listing weekend but I’m going to get started anyway as time is ticking on and I want to make sure I clear enough extra income for my Christmas shopping fund! I tend to start my items off at 99p on an auction which means cheaper listing fees and from my experience encourages more bidders. This strategy can backfire though as some items may end up selling for just 99p! So its a case of choosing which items to start off at this low price carefully and hope that potential buyers will bid up the price. 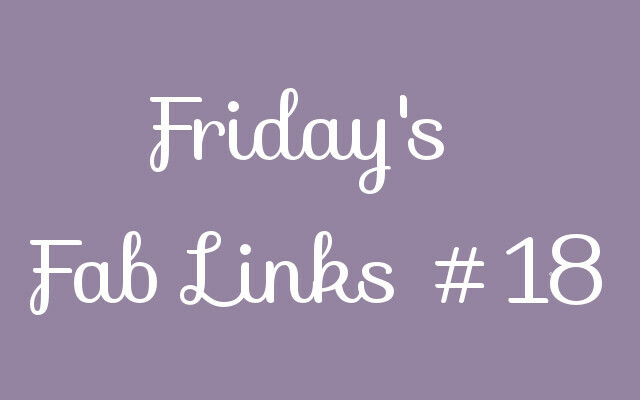 Onto the main feature – here are my favourite fab links from this week! Claire from Ready for Zero wrote a great guest post over at Modest Money: Top 10 Reasons You Will Get Out of Debt This Year. If you’re ready to tackle your debt but are still feeling unsure about things, Claire suggests some key motivators for tackling debt such as eliminating those high interest charges and getting a support network to back you on your journey to debt freedom. Canadian Budget Binder published a great post on How to keep the romance alive on a budget! Mr CBB suggests that it’s the little things that count and also outlines some great ideas for spending quality time together on the cheap. Girl Meets Debt has been busy hosting her brilliant new regular feature ‘Debt Confessions’! There are so many interesting and brave stories being published every few days on her site so it’s well worth looking back at all of them but one that stood out for me this week was Little Miss Money’s Story. 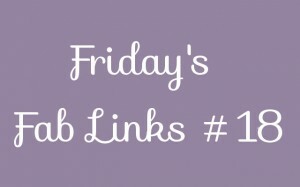 Budget Blogess is a new blog that I came across this week and I think it’s fab! Michelle outlined 13 Nasty Little Financial Habits to Drop in her post that I could really relate to. I’ve definitely been caught up in quite a few of these habits from buying a new car instead of used; frittering away my money away on alcohol or lottery tickets over the years and not learning properly about money. Yup, I got a high score on this list. Shannon at the Heavy Purse wrote a post on How to Develop a Gratitude Mindset in Kids. Shannon shares great advice on how to go from entitled to grateful by acknowledging our own good fortune, sharing, and appreciating what others have. She really is a guru on how to address important money matters with kids. I’m definitely planning on instilling this mindset in my daughter from an early age! Have a great weekend everyone and I’ll be back on Monday! Thanks GMD! No worries, I thought it was a great post. I was drawn in word by word! 🙂 Have a lovely weekend! Thanks for mentioning my post, Hayley! I appreciate your support!! I’m glad you plan on instilling a grateful mindset in your daughter. When you start when they are young, it becomes second nature to them to appreciate rather than feel entitled to everything. Have a wonderful weekend! I’ve got a load of stuff ready to sell on Ebay for xmas – Its a great way of making some money and getting rid of the stuff thats cluttering up your house. I’m going to put the proceeds towards paying down my debt. Thanks so much – good luck with your eBay listings too, I hope you do well. I agree, it’s a great way of making money and clearing out the house at the same time. That’s great that you’re paying the proceeds off the debts especially at Christmas time. Keep us posted with how you get on! Good luck with your eBay listings! I love selling on eBay, it’s such a great place to find buyers for virtually anything you want to sell. I too tend to start my listings under $1. I actually start at $0.01 most of the time as, like you said, it encourages more bidders which can lead to a last minute bidding war and higher prices. Thanks for sharing the links as well. Some great reads. Brent recently posted…Are You Reading All The Wrong Books? I am looking forward to spending the weekend with my own money making scheme to pool in enough funds for gift shopping now that Christmas is almost here. So here’s wishing the best of luck to the both of us. Have a great weekend too! Thanks Jen! How did your weekend of money making go?! Good luck with raising your Christmas funds! Good luck with the Ebay listings! I have had the same problem that sometimes they just go for the ridiculously low starting bid! Unless I’m pretty confident it’s going to sell regardless of the starting price I usually try to push the price up a little just in case that ends up being what it sells for. Have fun! Thanks so much Dee! Hope you had a great weekend! good luck with the challenge. I have a couple of things (a sewing machine and a bike) that I’d like to sell in the next couple of weeks. I’m thinking maybe craigslist would be better (if I can find buyers) since they would be expensive to ship. I just sent a box to my grandparents and it was $30 to ship, ugg the post office is killing me with their rates these days. I hear you KK! Postage is so expensive nowadays. I hope you manage to get a good price for your sewing machine and bike! My listings aren’t going that well so far, I’ve only listed 10 though as yet.